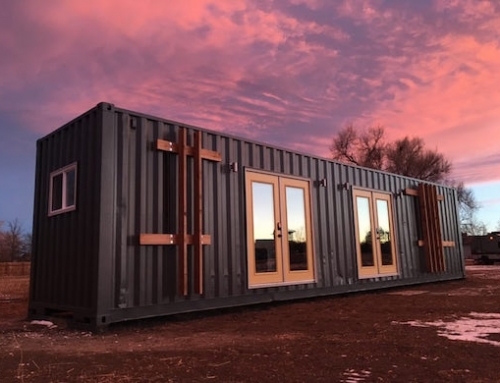 It’s been awhile since we talked about shipping container architecture, but this wine shop is about to change that. 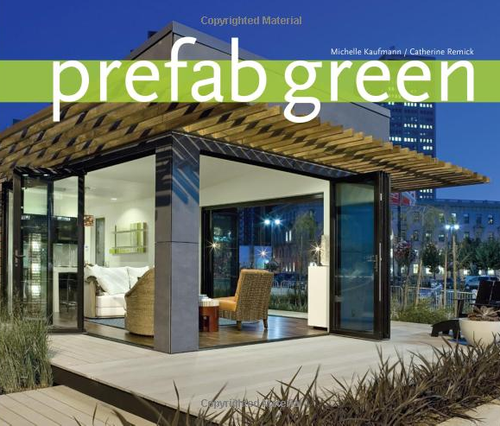 Especially since Australia-based Cumulus Studio, the firm that designed it, created a modern architecture masterpiece. 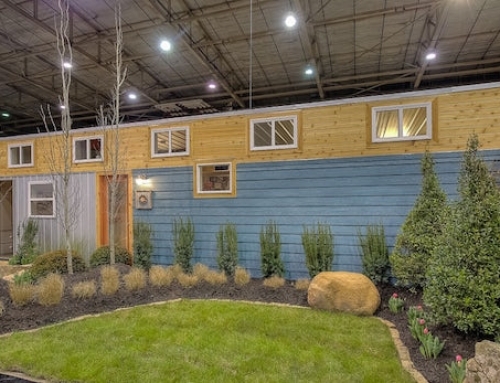 If all shipping container home projects looked like this, I’m sure there would be even more demand for them. 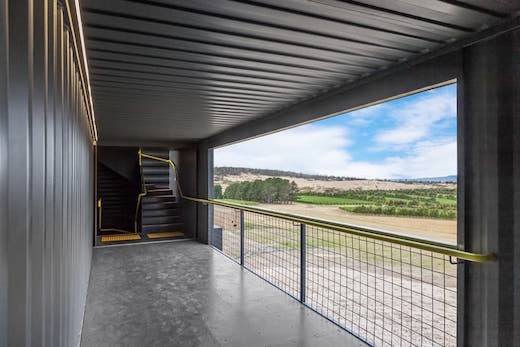 The Devil’s Corner, as the shipping container wine shop is called, is located in a vineyard on the east coast of Tasmania, and also serves as a lookout point. 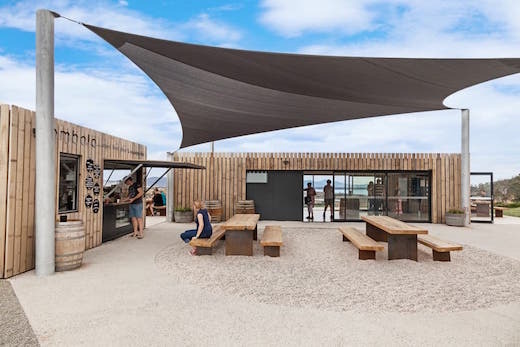 It was built out of 10 recycled shipping containers, five of which were used to build the shop part of the structure, and the rest to build the lookout point. 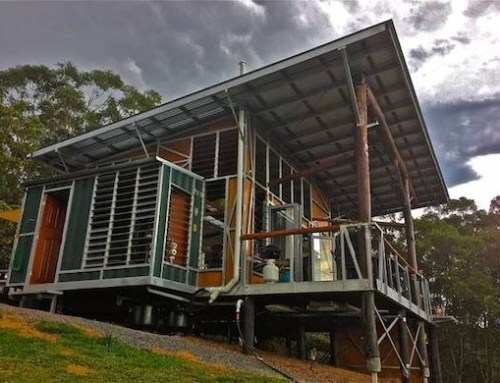 The structure covers 6,156 sq ft (572 sq m). 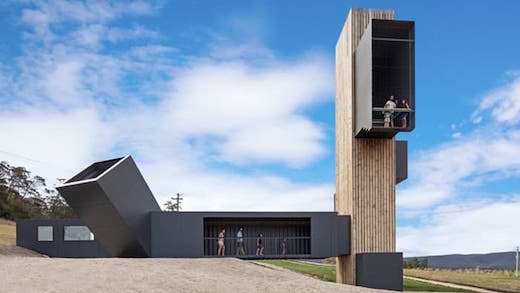 A large part of the lookout tower is clad in timber, and it was built by craning the shipping containers into place. 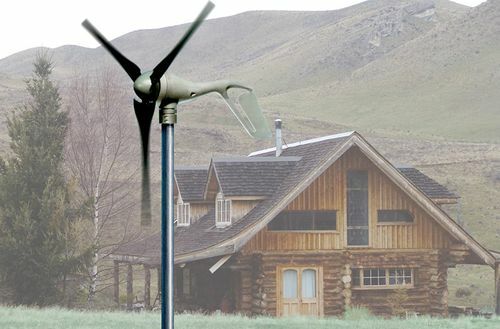 It offers great views of the coast and the surrounding vineyard. They didn’t alter the original shape of the containers much, only enough to be able to slot them together. 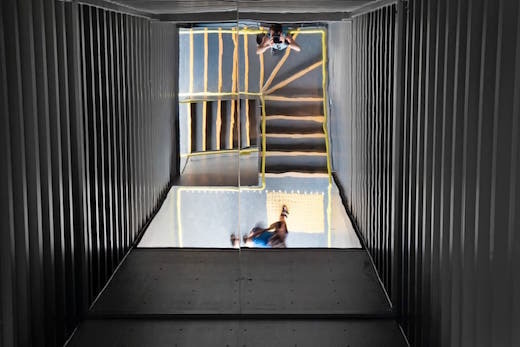 The cantilevered section of the lookout tower is basically just a shipping container turned on its side and with the bottom cut out. They painted the exterior of the container black, to give the building a more uniform look. 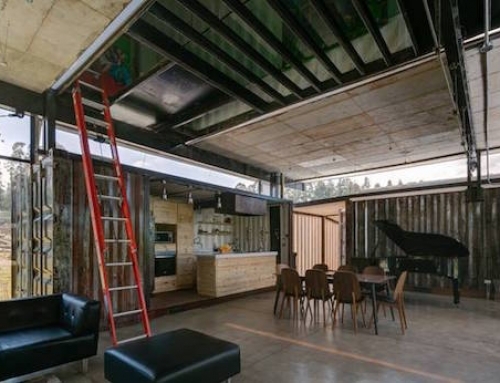 The main reason why they opted to use shipping containers to complete this project was their inherent structural strength. 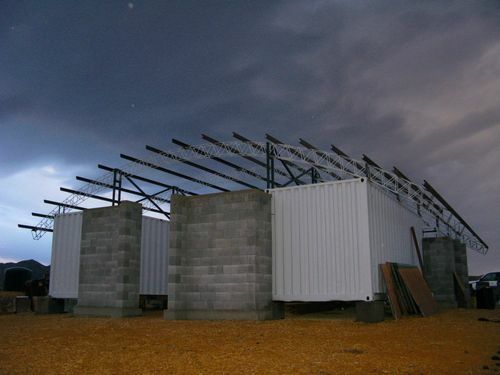 Another consideration was also that using shipping containers allowed for speedy and affordable construction. The Devil’s Corner wine shop and lookout point was completed in 2015. I really like the simple minimalistic aesthetic of this structure, and the matte black exterior of the containers goes with the timber-clad tower perfectly. 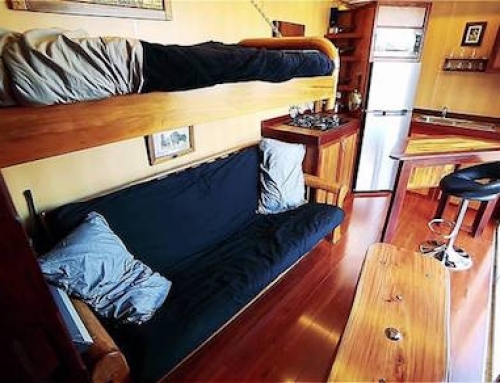 If a shipping container home was constructed in a similar way, I’d want one.